Wedding table settings are the most vital decorative features at a reception. It is the one aspect that will be noticed by every guest. The wedding season this year screams black and white! This combo looks classy, regal, and stylish. It’s no wonder why so many couples who are ready to walk down the aisle want black and white wedding table settings on their big day. There are many creative ways to bring some fun into your black and white wedding tables if you just know the tricks and traits of mixing various accents and tones. 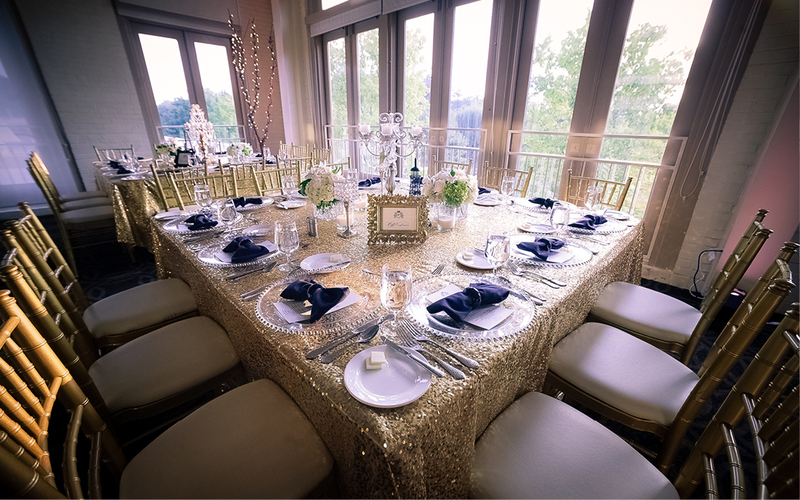 If you want your wedding table décor to exude elegance but with a dose of glamour, you could use shades of gold, silver, pink, red, and orange in your accessories. For a sweet feminine black and white table setting, you could use centerpieces in pastel pink and white with black accents. Greens too can accentuate the beauty of your wedding tablespace. Browse through these 35 black and white wedding table setting ideas for inspiration using this elegant color combo. You will remember wedding table settings in this elegant combo for their sophisticated look. From centerpieces to decorations to place settings, consider including crystal, floral arrangements with petals of black and white cloth, ribbons, candles, and colored glass stones. Gold looks glamorous in any setting. It blends well with black and white can be used for gold-rimmed plates, golden vases, ribbons on bouquets, or gold-colored balloons. 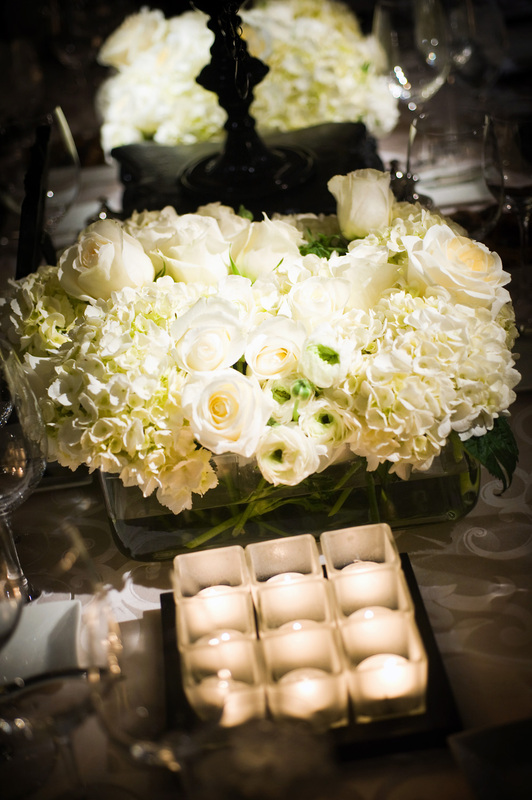 Wedding table settings in black and white are popular all over the globe. Variations on the theme can include bright shades of red, pink, or any other color. Wedding table setting ideas for an especially glamorous décor include white tablecloths with black runners, red napkins or chair ties. At the center of the table, these pieces naturally draw the most attention. 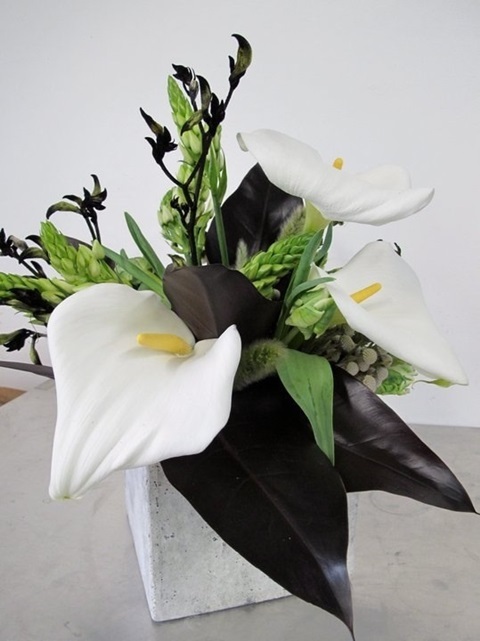 Flowers are a mainstay with an abundance of beautiful varieties that add freshness to any décor. 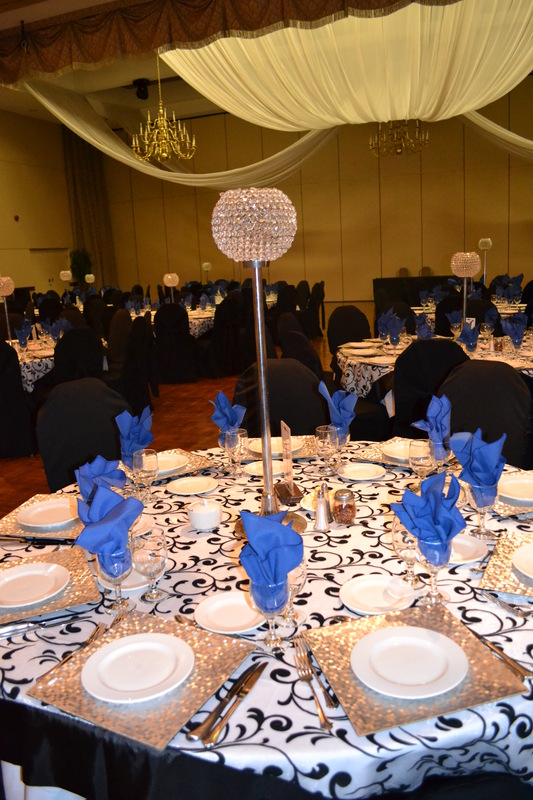 You can also try ornate silver candle holders on a black wedding tablecloth. Or use ribbons to decorate glass bowls filled with ornamental pebbles. 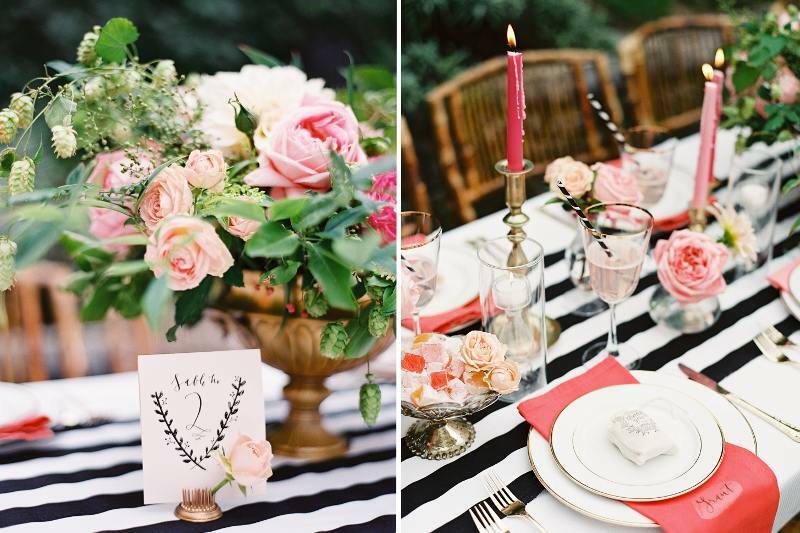 If your hearts are not yet fully satiated with the above stylish wedding table settings, here are a few more. Try using black and white printed tablecloths or runners over silken white sheets. Bows tied behind wedding chairs complement the black and white theme. Place a vibrant bouquet of flowers in a glass vase with satin ribbons tied around them. 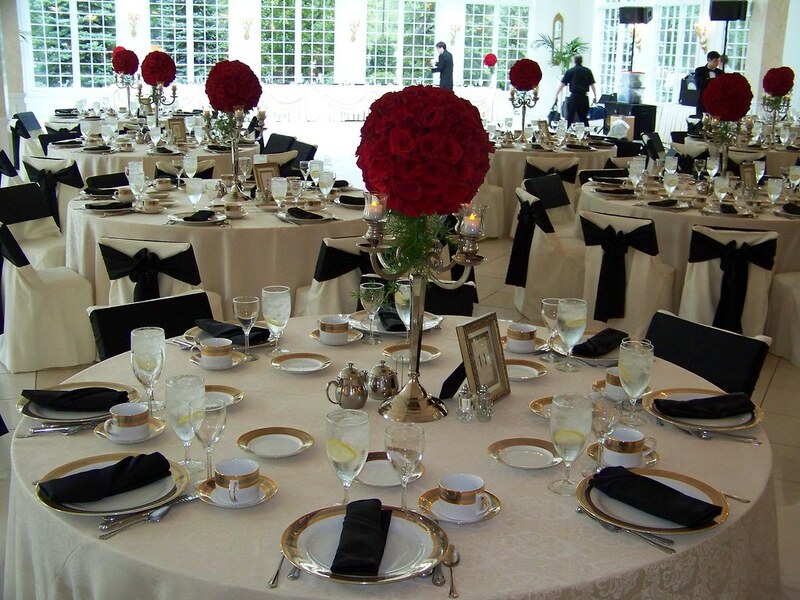 Black and white with passionate red is the perfect color scheme for formal weddings. Accent the bridesmaids’ dresses and the groomsmen’s suits with red to complete the effect. Decorate your hall adapting any of these black and white wedding table settings, and you’re sure to enjoy a classy reception with family and friends.